Goalkeeper Sammy Jo Prudhomme recorded her third consecutive shutout on Friday night as the Boston Breakers held on for a 0-0 draw at home vs. the Chicago Red Stars in front of of a crowd of 2,435 on a chilly summer night in Boston. With former members of the 1999 FIFA Women’s World Cup champion United States women’s national team on hand, including Mia Hamm, Michelle Akers, Briana Scurry, Brandi Chastain and Cindy Parlow Cone, the Breakers honored the memory of legendary USWNT coach Tony DiCicco, who passed away last month. From 2009-2011, DiCicco coached the Boston Breakers of Women’s Professional Soccer. “He just brought so much life to our team, fun, made us a family. Every day we stepped on the field with him as our coach, we had fun. We laughed. He worked us hard but it was always because he wanted the best for us,” Hamm told Angeli at halftime. The Red Stars thought they had taken the lead in the 72nd minute after a Danielle Colaprico midfield header fell to Christen Press in behind the Breakers defense. The forward dribbled into the penalty area and slotted it past Prudhomme for what would’ve been her sixth goal of the season, but a late offside call came in and disallowed the goal. The Red Stars had another big opportunity to take the lead just three minutes later as Prudhomme came off her line to punch away a cross into the box from Press. Prudhomme’s clearance fell straight to Taylor Comeau, who chipped it over the goalkeeper only to see her shot cleared off the line by Breakers midfielder Rosie White. 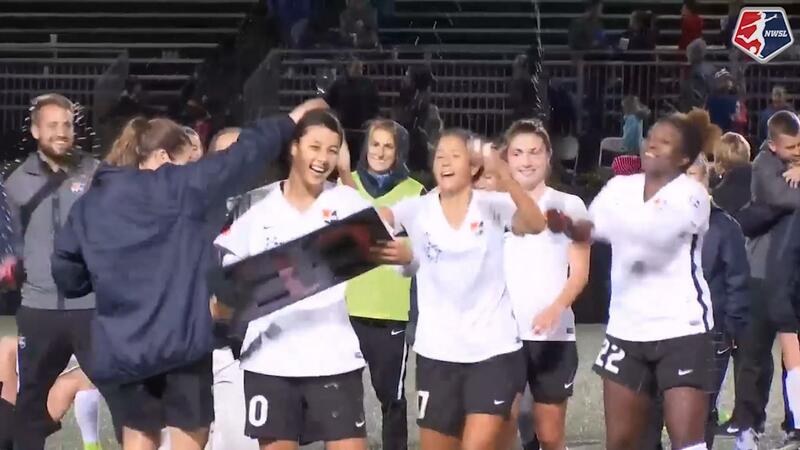 Prudhomme made eight stops, including two late saves — one in the 88th minute vs. Press and another in the 91st minute on a Sofia Huerta shot — to help the Breakers hang on for the draw. She extended her shutout streak to 316 minutes, now the longest streak in Boston’s NWSL history. The rookie goalkeeper has started the last four games in place of Breakers goalkeeper Abby Smith, who has been suffering from right quad tendinitis. Smith was removed from the injury report on Thursday, but Prudhomme earned the start on Friday night. On the other end of the field, Red Stars goalkeeper Alyssa Naeher earned her fifth shutout of the season, though she was not called upon for a save as Boston was unable to record a shot on goal in the match. Boston’s best effort came in the 58th minute, but White’s long distance shot went just over the crossbar. Breakers captain and defender Julie King recorded her 100th appearance for the Boston Breakers (including her time with the Breakers in the WPSL Elite in 2012 as well as the NWSL since 2013). “She loves this club. She loves this city. She’s a great leader,” Beard said of the Breakers captain. Breakers defender Allysha Chapman earned her fifth yellow card of the season in the 80th minute, which means she will be suspended for the Breakers’ next match due to yellow card accumulation. White, who was suspended due to yellow card accumulation earlier this season, earned her sixth card of the year in the 89th minute. White will be suspended again if she earns two more yellow cards this season. The Red Stars moved to 7-3-3 (24 points) with the draw, and into a tie for first place with the North Carolina Courage, who play their Week 12 match on Saturday. The Breakers are 3-6-4 with 13 points. Match ends, Boston Breakers 0, Chicago Red Stars 0. Second Half ends, Boston Breakers 0, Chicago Red Stars 0. Margaret Purce (Boston Breakers) wins a free kick on the left wing. Attempt saved. Sofia Huerta (Chicago Red Stars) left footed shot from the centre of the box is saved in the centre of the goal. Assisted by Vanessa Di Bernardo. Offside, Chicago Red Stars. Sofia Huerta tries a through ball, but Taylor Comeau is caught offside. Attempt saved. Christen Press (Chicago Red Stars) right footed shot from the left side of the box is saved in the centre of the goal. Assisted by Casey Short. Attempt blocked. Ifeoma Onumonu (Boston Breakers) right footed shot from outside the box is blocked. Foul by Morgan Andrews (Boston Breakers). Offside, Chicago Red Stars. Taylor Comeau tries a through ball, but Christen Press is caught offside. Foul by Ifeoma Onumonu (Boston Breakers). Substitution, Boston Breakers. Katie Stengel replaces Natasha Dowie. Attempt blocked. Christen Press (Chicago Red Stars) right footed shot from outside the box is blocked. Assisted by Vanessa Di Bernardo. Allysha Chapman (Boston Breakers) is shown the yellow card for a bad foul. Attempt blocked. Margaret Purce (Boston Breakers) right footed shot from outside the box is blocked. Assisted by Natasha Dowie. Offside, Chicago Red Stars. Casey Short tries a through ball, but Sofia Huerta is caught offside. Attempt saved. Christen Press (Chicago Red Stars) right footed shot from outside the box is saved in the bottom right corner. Assisted by Vanessa Di Bernardo. Adriana Leon (Boston Breakers) wins a free kick in the attacking half. Attempt blocked. Casey Short (Chicago Red Stars) header from the right side of the six yard box is blocked. Assisted by Vanessa Di Bernardo with a cross. Corner, Chicago Red Stars. Conceded by Rosie White. Attempt blocked. Taylor Comeau (Chicago Red Stars) right footed shot from outside the box is blocked. Corner, Chicago Red Stars. Conceded by Julie King. Attempt blocked. Julie Ertz (Chicago Red Stars) right footed shot from outside the box is blocked. Assisted by Sofia Huerta. Foul by Christen Westphal (Boston Breakers). Substitution, Chicago Red Stars. Taylor Comeau replaces Alyssa Mautz. Attempt saved. Sofia Huerta (Chicago Red Stars) right footed shot from outside the box is saved in the centre of the goal. Attempt missed. Adriana Leon (Boston Breakers) right footed shot from outside the box is high and wide to the right following a corner. Corner, Boston Breakers. Conceded by Casey Short. Attempt missed. 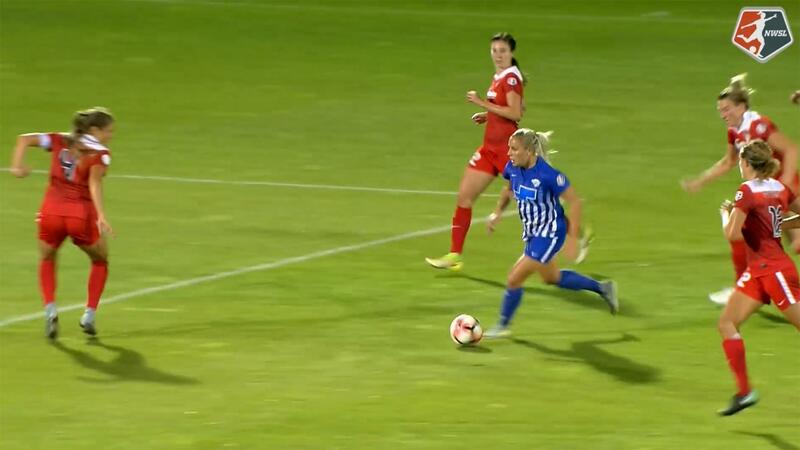 Natasha Dowie (Boston Breakers) left footed shot from the left side of the box misses to the left. Morgan Andrews (Boston Breakers) wins a free kick in the attacking half. Substitution, Chicago Red Stars. Danielle Colaprico replaces Stephanie McCaffrey. Substitution, Boston Breakers. Margaret Purce replaces Tiffany Weimer. Foul by Stephanie McCaffrey (Chicago Red Stars). Attempt missed. 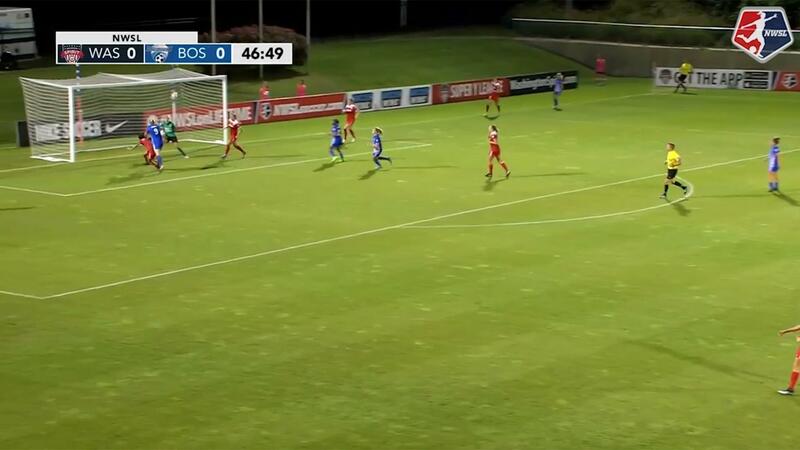 Rosie White (Boston Breakers) right footed shot from outside the box is just a bit too high. Assisted by Allysha Chapman. Attempt missed. Julie King (Boston Breakers) header from the centre of the box is close, but misses to the right. Assisted by Tiffany Weimer with a cross following a corner. Corner, Boston Breakers. Conceded by Katie Naughton. Foul by Julie King (Boston Breakers). Attempt saved. Vanessa Di Bernardo (Chicago Red Stars) right footed shot from outside the box is saved in the centre of the goal. Assisted by Stephanie McCaffrey. Attempt missed. Christen Press (Chicago Red Stars) left footed shot from outside the box is just a bit too high. Assisted by Stephanie McCaffrey. Hand ball by Christen Press (Chicago Red Stars). Attempt missed. Sofia Huerta (Chicago Red Stars) header from the centre of the box is just a bit too high. Assisted by Arin Gilliland with a cross. Second Half begins Boston Breakers 0, Chicago Red Stars 0. First Half ends, Boston Breakers 0, Chicago Red Stars 0. Attempt missed. Sofia Huerta (Chicago Red Stars) header from the centre of the box is close, but misses to the left. Assisted by Vanessa Di Bernardo with a cross following a corner. Corner, Chicago Red Stars. Conceded by Adriana Leon. Offside, Chicago Red Stars. Christen Press tries a through ball, but Casey Short is caught offside. Corner, Chicago Red Stars. Conceded by Christen Westphal. Attempt saved. Sofia Huerta (Chicago Red Stars) right footed shot from the right side of the box is saved in the bottom right corner. Assisted by Stephanie McCaffrey. Allysha Chapman (Boston Breakers) wins a free kick on the left wing. Corner, Chicago Red Stars. Conceded by Allysha Chapman. Attempt missed. Sofia Huerta (Chicago Red Stars) right footed shot from outside the box is just a bit too high. Natasha Dowie (Boston Breakers) wins a free kick in the attacking half. Attempt blocked. Allysha Chapman (Boston Breakers) left footed shot from the centre of the box is blocked. Assisted by Adriana Leon. Rosie White (Boston Breakers) wins a free kick in the defensive half.